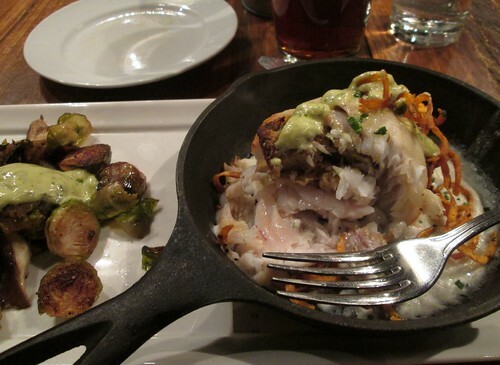 Flounder roulade with oyster stuffing and roasted brussels sprouts at Josephine’s Bistro. YUM. I’m trying to find the owners of this beautiful friendly older kitten. 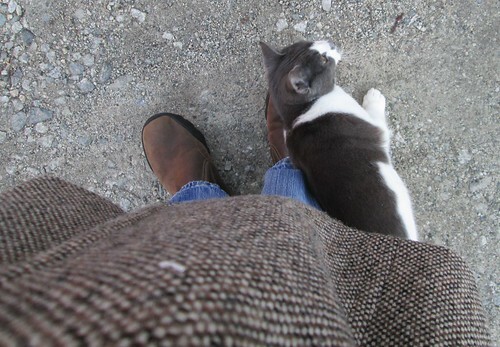 S/he likes to follow people and play and it is very cold outside. I feel pretty sure that s/he belongs to a neighbor but when you live near a college campus at the end of a semester, you never know whether a pet has been abandoned. I’ve seen this cat twice, and I worry about her safety.